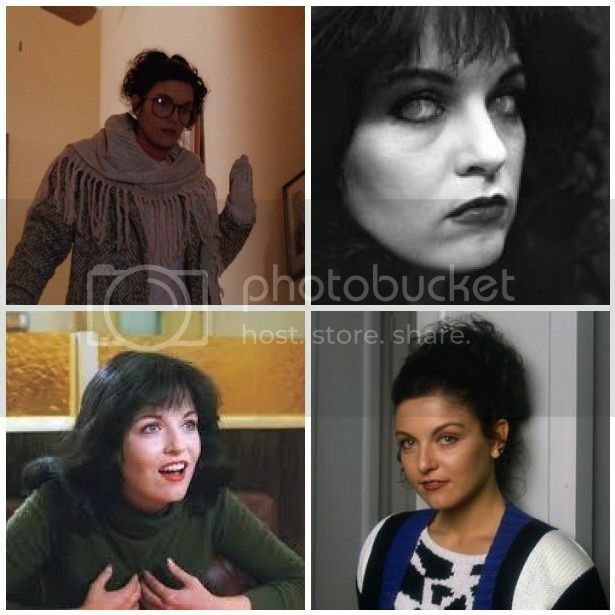 Today I’d like to share a bit with you about one of my favourite Twin Peaks characters, Maddy Ferguson. Maddy is Laura’s identical cousin. Identical but for her brown hair and drastically different personality. Maddy is nearly the anti-Laura; she’s innocent and sweet and (at least in the first season) remarks at how different she and Laura really are. I like her character because, well, I think she was written to be likeable. She comes to Twin Peaks and is nothing but helpful and kind to her family and new friends. Her sleuthing with them is almost funny, with more than a hint of Scooby-Doo about it. Beginning as a somewhat unassuming character, Maddy, like many other Twin Peaks personalities, reveals that there’s more to her than that surface sweetness. In season two her differences from Laura become smaller. She changes her look; her hair goes from curled to straight, she loses the glasses, and her wardrobe also reflects this change in character. could feel her thoughts, like our brains were connected or something. James Hurley: But it was wrong. Maddy: It wasn’t one thing or the other. For a while I got to be somebody different. But now I’m just me again. Later in this same episode, the 7th of season two, Maddy is murdered by her possessed uncle. This is one of the scariest scenes in the show. Maddy is a complex character, and one of the few from the show I think I’d actually like to have a cup of coffee and slice of cherry pie with. Previous Previous post: More Kickstarter Incentives!